Real estate professionals are often passionate about their work. Helping people find their new home can be both exciting and fulfilling. 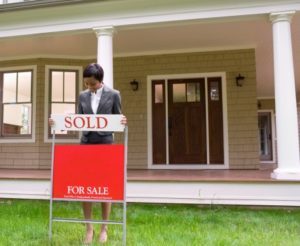 Many real estate agents are also investors themselves. Unfortunately many people wish to blame their real estate agent when a land deal goes bad. This blame can lead to one potentially having their license taken by the Arizona Department of Real Estate. If you are an agent, a broker, or other professional who finds themselves in such a situation then it is crucial that you contact an attorney immediately. Bretton Barber is a Phoenix lawyer assisting with such matters. Our office is ready to assist you. There are numerous situations in which a real estate professional can potentially lose, or not receive, their license. They may be alleged to have committed fraud, some form of gross negligence, or they may have breached an obligation to their client. It is crucial that an attorney be contacted immediately, regardless of the reason for which one is facing discipline. Retaining counsel may make the difference between keeping one’s license and having their professional future ruined. Retaining counsel as a new professional in the field can also make the difference between being issued a license and denial. The first step in a disciplinary proceeding is typically for the Arizona Department of Real Estate to send a notice of the issue along with a request for information to the professional. If the Department is not satisfied with the response then they will proceed with initiating a disciplinary proceeding against the agent or broker. That proceeding will first go to the Department for resolution and, if necessary, culminate in a hearing before the Arizona Office of Administrative Hearings. The hearing will be conducted by an Administrative Law Judge. The professional will be given the opportunity to confront witnesses, to put on a defense, to present evidence, and argue that no wrongdoing occurred. At the end of the hearing the Judge will issue a recommended ruling to the Department of Real Estate. The Department will make a final, and appealable, decision regarding discipline. Bretton assists Phoenix area real estate agents, brokers, and others accused of fraud, negligence, or other professional misconduct. Bretton will use your initial consultation to get your side of the story. If the fraud did not occur then he will fully investigate the matter, interview potential witnesses, and plan a defense. He will aggressively represent you at the hearing and present any extenuating circumstances related to what happened. You are facing a serious situation and our lawyer will take it seriously. Contact us today to speak with an attorney. In addition to Phoenix we represent professionals in other Maricopa County cities such as Mesa, Glendale, Scottsdale, Chandler, and Gilbert. We also assist Pima County residents in Tucson. Many professionals, in real estate as well as in other areas, err by waiting to talk to a lawyer after they have received a notice of disciplinary action. It is a mistake to do so. The sooner your contact counsel then the sooner your attorney can begin working on your case. This can result in counsel having greater access to evidence at the time of the hearing as well as having more time to attempt to negotiate a resolution. Such a resolution may save your license while preventing you from going through the hearing process described above. Do not make the mistake of waiting to obtain legal advice.